• Use Pinterest to market content only if it makes sense to your target audience. 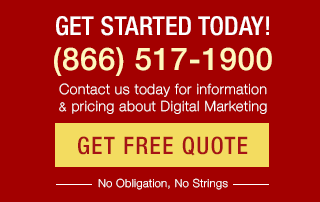 • Fulfill the promise of your link and support it with quality content on your site. 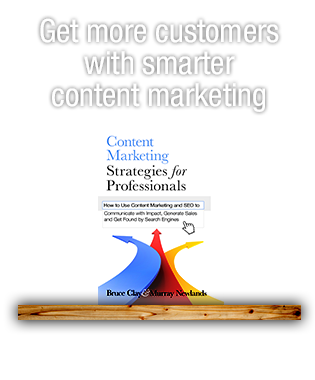 • Don’t rely too heavily on social media marketing that you forget about the marketing role your site plays. Move over, StumbleUpon. There’s a new aggregator in town. No longer will users aimlessly browse for random gems of content. That’s so 2009. Now, old math is applied to present content in a new way: content + interest = Pinterest. Pinterest does not represent a revolution in content curation by any means. The newness of Pintertest comes in the form of content consolidation. All content, all the time. Every social media site under the sun has some way of allowing its users to easily share content with one another. So why are pins so interesting and why are online marketers, specifically, SEOs so giddy with excitement? I’ll give you a hint: it’s two-parts shiny new object and one-part traffic generation. These and many other questions are worth examining because Pinterest, as a site, offers nothing new to advance social sharing besides changing the aesthetic. 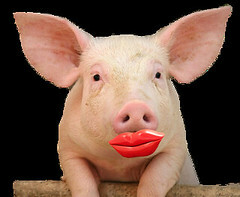 Other than shifting the social focal point from the user/brand that shares the content, to the content that is shared by the user/brand, Pinterest is the proverbial lipstick on the content curation pig. There is such a thing in this world as social media fatigue, and as a member of the online community, I constantly have to fight it off with the social media sites I currently subscribe to. It’s hard enough just to keep up with my Twitter feed, let alone go out of my way to share content on yet another site. In this world of instantaneous information and gratification (for which I am a junkie), I have even neglected to update my Facebook status in months because it takes too long. Nevertheless, Pinterest is experiencing hockey stick-like growth since its founding in early 2011, with nearly 10 million active users and 11.7 million unique visits a month in January, according to TechCrunch. With impressive growth like that, it’s hard for anyone with a pulse to ignore, which is why it especially caught the interest of the SEO community as a new link-building platform. Pinterest has an innate ability to drive traffic because each pin represents a link. And each time content is re-pinned, another backlink is born. No one foresaw the impact the site would have on referral traffic. 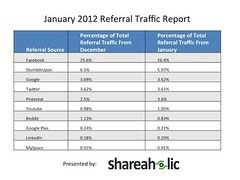 In January, Pinterest drove more referral traffic to websites than Google+, YouTube, Reddit, and LinkedIn combined. And the growth shows no signs of stopping, but that doesn’t always mean more traffic for your site. 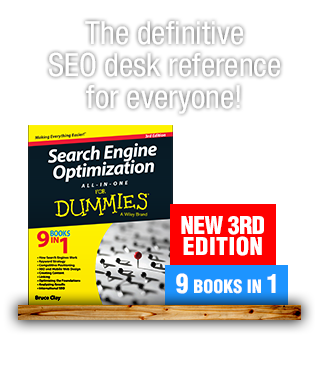 Yes, SEOs and site administrators alike are salivating at this perceptibly easy way to harvest more links, specifically to pages deep within a site, and more and more brands are signing up. But this was not the original intention of Pinterest; rather, a newfound benefit. 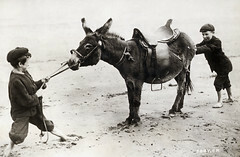 In Pinterest, a pin is equivalent to a link, and any brand with an invitation to join Pinterest can get links, but Web marketers know that a link only leads the horse to water; it doesn’t guarantee the horse will drink. Assuming we live in a perfect world, users will constantly pin and re-pin your content, go to the page on your site and convert; however, this is rarely the case in social media because there exists a statistical equalizer: a vast majority of people aren’t listening to what you, as a brand, have to say. For example, in a study conducted last year, it was found that only 3 percent to 7.5 percent of brand fans on Facebook (depending on the size of the following) actually see what a brand posts on its page; only a shockingly minute fraction of the people that see the posts interact. Which begs the question, are users, like myself, tuning out? To a certain extent, yes. But there is a way out of the dreaded technology loop. Let’s get back to basics. A link must fulfil its promise to deliver content relevant to anchor. In other words, if the pinned image does not live up to the expectations of the user, then that link falls flat, or worse yet, the user bounces. Assuming people actually click the link or re-pin an image, does your site contain the content to support the promise of the link to the extent that you can convert shoppers to buyers? If it doesn’t, your site should and must, otherwise all you’ll have are disappointed users who find it incredibly easy to ignore you. This brings to mind the idea of Google’s Quality Score. Even though there is no discernable way for a pin to achieve optimal position on a pinboard the way an ad would, some of the same principles apply. No matter what new service comes along or how easy they make it to increase traffic, there is no substitue for relevancy and landing page quality. And that’s the point here. I don’t discount the fact that Pinterest could be a real driver of traffic to your site, but traffic only goes so far. 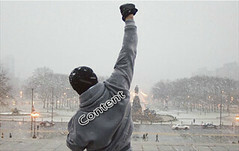 Just because we have a new, trendy way to market, share and curate content doesn’t take away from the fact that content is still the Rocky Balboa on the steps of the Philadelphia Art Museum. As Urs Gattiker states in the link provided in the previous paragraph, “[Social media] is the icing on the cake.” That’s to say, the content on your site is the cake. My prediction is if Pinterest proves to be the real deal for Web marketers and poses a competitive theat to other social networks, you bet your bounce rate that Facebook, Google, Twitter, and all the others have deep enough pockets to throw money at a project to develop something similar. The buzz around Pinterest for marketing may not be around for the long haul, but the way Pinterest allows users to share content might be. There are a few key takeaways worth mentioning. It’s not all skepticism, but it’s not all Skittles and beer either. These are some practical things to keep in mind when considering marketing strategy targeted toward an audience on Pinterest. Does Pinterest Make Sense? This all depends on your target audience. If it’s longshoremen, then perhaps Pinterest won’t pay it’s dividends. Keep Interest by Keeping the Content Code. Pinterest is heavy on the images and light on the words, so if users decide to click, be sure your site is equipped with the right content to meet the expectations of the user and fulfill the promise of the link. I can’t impress upon you enough, content is king. Don’t Ignore the Cake. Pinterest, like all social media outlets, is the icing on the cake — sometimes people forget the website is the cake. The statistics are telling, and people are disengaged when it comes to brands. Don’t exacerbate the problem by focusing solely on social media marketing to the detriment of your overall marketing strategy. Casey, you are absolutely right. Not all brands are created equally for Pinterest, as is evident in the success of brands that normally market to women. I just read today that women are using Pinterest and men are using Google+. As an SEO consultant it’s very exciting but look at the user, they are mainly women. Gear your content towards women and you’ve struck gold. Almost all of my girlfriends LOVE Pinterest. The audience is there. Any company that doesn’t use it to their advantage is missing out. As someone with a Creative Writing background, nothing pleases me more to hear that. Thanks for the comment! Gotta say I agree completely with you Matthew. Content still rules the roost. Shashank Gupta – Thanks for the comment. Pinterest has potential and a picture is worth a thousand words, but only as long as those thousand words are the content on the site that support the image. Andy @ FirstFound – Personally, I haven’t come to a verdict on the service. And you’ve arrived a great point. What good is marketing to a target audience on Pinterest if they don’t exist to a large extent? I guess you could make the same argument about Google+, but that’s for another bedtime story. Thanks for the comment! Hi Matthew, enjoyed your article. I have myself been exploring the potential of Pinterest. As you have mentioned I think it is a very promising platform. As they say ‘A Picture can say a thousand words’ so for those business that can harness the power of pictures this platform is a blast. I have been trying to explore the potential of Pinterest for some of my lesser picturesque clients, hope to find something interesting for them.